Singapore! Known for its lavishness and sophisticated lifestyle it boasts world-class infrastructure with highest disposable income in the region. Singapore has a stable economy, with astonishing internet and smartphone penetration and a strategic position smack amidst the developing countries. An interesting survey done on Singaporeans shows that they are shopaholics online and offline. A recent study shows that at least 26% of Singaporeans shop online at least once a week. And also about 50% would do all shopping online. The reason for this trend is the growth of ecommerce in the region. Singapore ’s e-commerce market has grown to $3.45 billion in 2015 from US $2.7 bn in 2014. Adding to it the purchasing internet penetration in the area. Nearly 74% of its 5.4 million population is connected to the internet. Amazing product + Quick & quality service keeps them happy! To lure the Singaporeans, digital marketplaces should introduce a variety of sophisticated and fashionable products on their sites. For this., the marketplaces have to increase their supplier base., which in turn helps in increasing the products. E-commerce companies are trying to bank on this trend and make Singaporeans happy. Looking at the ravishing numbers, ecommerce players like Lazada, Zalora have taken steps for an effortless shopping experience to their customers. Customer expectations for any experience are seemingly very simple. Acquiring new customers by helping “fill the trust gap” some consumers still have towards online shopping. The overall trend of online and offline retailers is merging as traditional offline retailers are going online. Singaporeans do not want unpleasant surprises. They expect easy access to service., they want first time resolution to requests and their voice is heard. Singaporeans love “same-day delivery” like customers of any other country. So, logistics & ecommerce companies should streamline their operations and provide a quality service to the customers. Delighting customers is more than just meeting their needs at the moment. It is about building authentic relationships that stand the test of time. Serving an ever-changing set of customers by giving them the best customer experience is crucial for customer retention. It is important for customers to know that their request/order is being processed. Sending live updates and hearing about the service from the customers makes him feel good and delights the customer. To retain the customers and sustain in today’s competitive business world it is very important for companies to measure and understand customer satisfaction. Knowing your customer’s likes and dislikes is one sure route to success as it gives the precise idea of what matters to your customers’ the most. Along with delighting them with the best service companies like Zalora, Acommerce are measuring the feedback of the customers. They say that it is helping them to collect and measure NPS which in turn helps in understanding the customer in a much better way and tweak the things to better serve your customers. This helps in knowing your customer better, give better offerings and can ensure that customer’s voice is heard. Are you into ecommerce or Logistics business in the Singapore region? Then yes., plan well and make Singaporeans happy by delighting with the best product and quality service. Stay tuned to know more about what an ecommerce giant from the SE Asia is doing in making their customers happy. Get back to us to know more about making Singaporeans happy :) Schedule a Call! PreviousE-commerce, Customer expectations & Delivery Management! 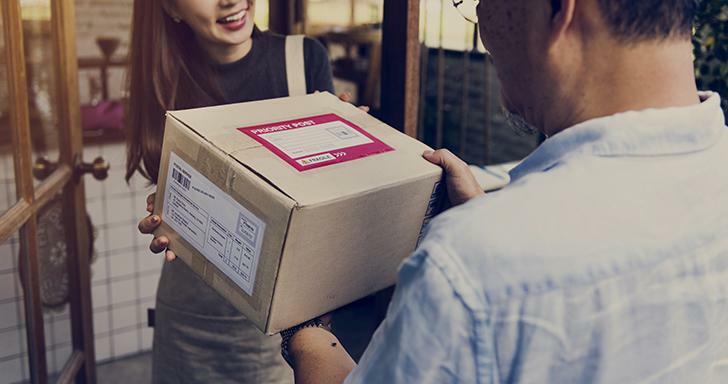 To optimize delivery, a last mile delivery software should be able to add events, sub-processes, and gateways on the fly. It should be flexible enough to adapt to changing delivery needs as well.